Ooo, what a dark beauty this one is! 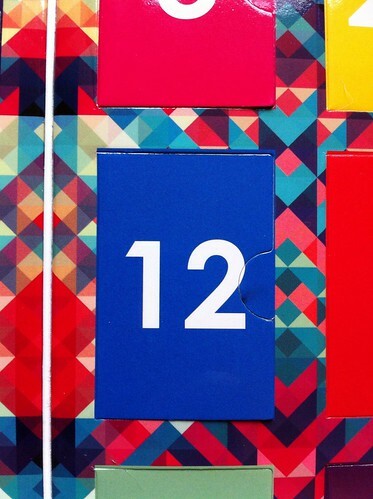 Behind door 12 is Twilight, a dark, deep, black infused with golden olive flecks. Another confession here – my friends had already raided my Ciate calendar when they popped over for tea the other day, and Lorraine actually kidnapped Twilight to wear at a wedding last weekend! 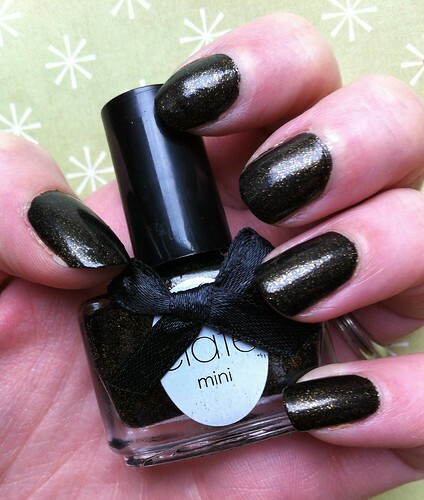 By chance, she had a beautiful black and greenish gold dress that looked like it was made for this colour. Luckily, she returned it last night – just in time! 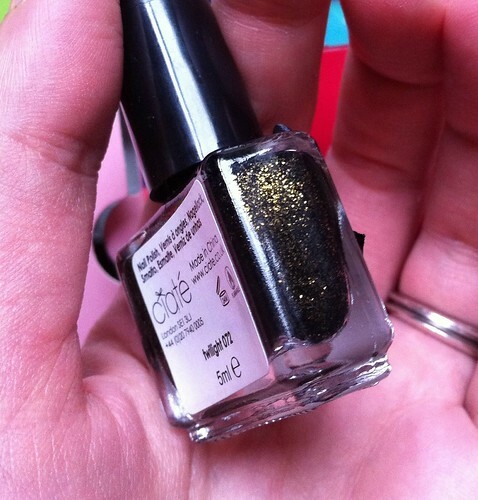 This is definitely my favourite shade so far (not including the Caviar Pearls, of course!) as it’s so unique and very pretty. 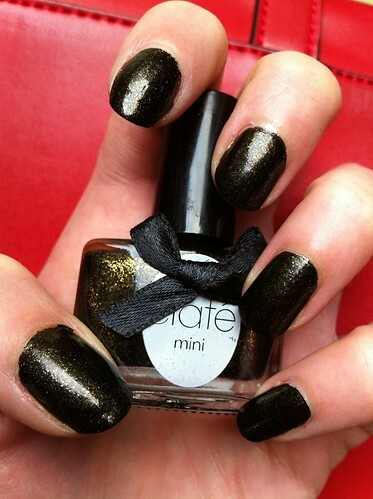 Ciate’s site says: “A rich and glamorous black polish with teeny flecks of golden glitter for the ultimate after dark treat. 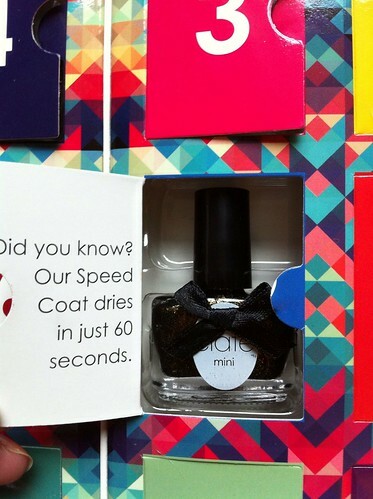 Tremendously special.” It certainly is – love it!